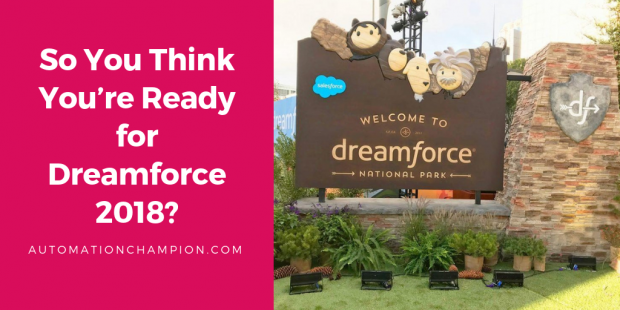 So You Think You’re Ready for Dreamforce 2018? Hooray! It is that time of the year again! Dates for Dreamforce 2018 – September 25th – 28th – are set. And, everyone is eager and excited to know what all new product/innovation Salesforce is going to announce in the next few weeks. Another reason to be excited, if one is needed at all, is that Dreamforce’18 offers yet another opportunity to meet fellow Trailblazers from around the globe! We usually know fellow Trailblazers through social media – and if we are lucky, have met few personally. Dreamforce provides a platform to solidify existing bonds and build new ones! 1. Perpetual Optimism: – The most important thing to bring to any event you attend – not to mention in life itself! Be open to meeting new people; for, you never know who you will meet. It could be your next partner, client, or best friend! Search for hotels several times a day. As people change hotels or cancel their registrations, the rooms that they had reserved will become available again. Reach out to the All Dreamforce group in the Trailblazer Community, and ask if anyone would be willing to share their room – many people have booked hotel rooms with two beds. Look for a room outside of the Dreamforce site. It can be done! Hostels, Airbnb, and many other travel sites will have rooms pop up between now and the conference. If you want convenience, get a hotel near Moscone Centre, that way you can save some time when jumping between activities. 3. Join groups in the Success Community: – There are some awesome groups (All Dreamforce group, New to Dreamforce group). If you join the groups, it will keep you posted on all things about Dreamforce. 4. Attend the Road to Dreamforce Webcast: – The Road to Dreamforce session is ran by Dreamforce team. 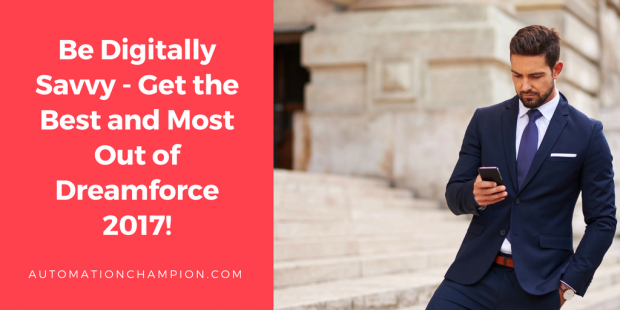 It will give you event news and tips that will help you get the most out of your trip to Dreamforce. Use this link to sign up for updates and watch the session videos here. 5. Learn to layer: – The weather in San Francisco is finicky, so it is smart to bring lots of layers. Know that the temperature varies from one neighborhood to another! Even if it is warm and sunny in Union Square, it might be foggy and windy in Golden Gate Park. By layering, you can add and remove layers as necessary. I always bring along a light sweater and a jacket so I can warm up or cool down as needed. 6. Wear comfortable shoes: – Go for comfort. You will be standing around and walking a lot. Wear your most comfortable shoes. In Dreamforce 2017, I almost walked 7.5 miles per day. I was able to do so, partly because, I walk at least 15,000 steps per day and I was wearing decent shoes – like ADIDAS POD – S3.1 Shoe. If you are not doing so already, start walking 10,000 steps a day daily; this will tone you for life, not just Dreamforce! The American Heart Association uses 10,000 steps metric as a guideline to follow for improving health and decreasing risk of heart disease – the number one killer of men and women in America.